Indian Fashion Bloggers (InFB in short), recently came with another challenge (remember their last challenge on VIBGYOR?!). This time the challenge was to Make A Statement!!! 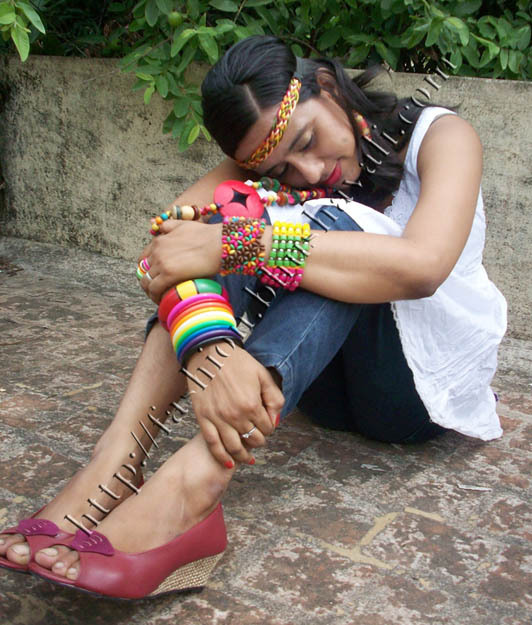 So what did this Chennai Fashion Blogger come up with??? A Statement.. Hmmm.... That has to be done with just 'a' statement accessory? Nah! Lets deck it up baby!!! And I grazed through my jewelry box. Oxidized Silver & Antique stuff??? After posing so much, I got a bit tired and as I was sitting I rested my head on my knee and mom clicked this shot. I liked this so much that I had to share it with you!!! Thanks Sita! :) Loved ur blog! Thanks for dropping by. Love all the color! 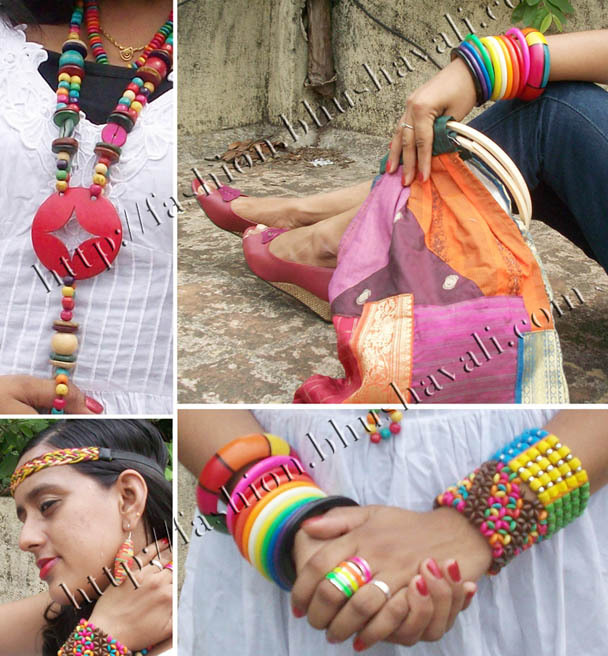 Great accessories! Glad you liked it Elena. Thank you so much for following. Multicolour to the max! You look amaze! You are so full of colour!!! Thank you Gabriela & Chris.